Right before I left for my Sydney trip, I had a breakfast meeting with Zalora girls, Melissa and Joyce. So... This entry is way overdue. Eeps! :\ Thanks for being so patient, Melissa and Joyce! Melissa and Joyce were really excited to share about Zalora with me. Zalora is basically all that we will ever need for our online shopping on our sunny little island! It is a one-stop portal for fashion and footwear, for the ladies, the gentlemen and the babies! The online retailer seeks to bring us 'a Singaporean lens on global trends' by engaging both local and international brands/ designers. In the realm of cosmetics, one of the brands that Zalora has brought in is Aussie-born Gorgeous Cosmetics. Founded by David McConnell, this brand 'flourished out of passion, loyalty and the pursuit for elite quality'. McConnell started out in the hair and makeup industry and distinguished himself very quickly and early by winning several awards at Australian Industry Award events. Before the age of twenty, he had already opened his first boutique in Toorak, one of Melbourne's more prestigious suburbs. He strives to deliver quality of the highest standards to his many loyal clients and to empower women with them so that we can achieve glamour everyday. Zalora has brought in quite an extensive range of the Gorgeous Cosmetics collection! 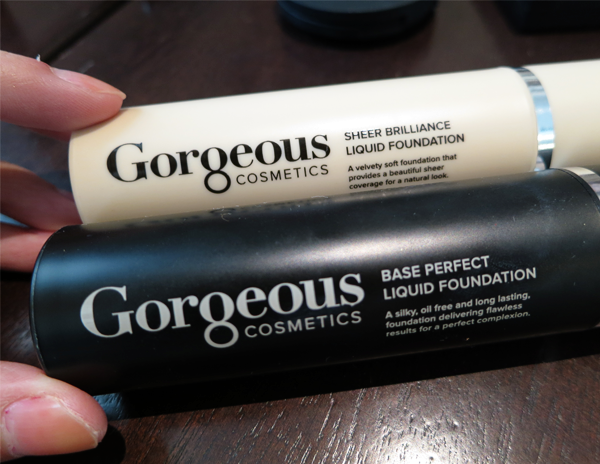 Pictured above are the Sheer Brilliance Liquid Foundation and Base Perfect Liquid Foundation. Sheer Brilliance Liquid Foundation is described as 'a velvety soft foundation' that provides a sheer and natural coverage. Lightweight and infused with the goodness of Vitamins A and E, this liquid foundation glides seamlessly across skin to give you a complexion that is fresh and radiant. It is suitable for all skin types. Base Perfect Liquid Foundation is a silky foundation that is both oil-free and long lasting. Described as a 'smooth emulsion', it 'blends effortlessly onto the skin' to give a flawless complexion. It contains 'special light diffusing pigments to amplify the light, giving skin the appearance of a healthy luminosity'. This also contains Vitamins A and E to soothe and condition the skin. It is suitable for all skin types. 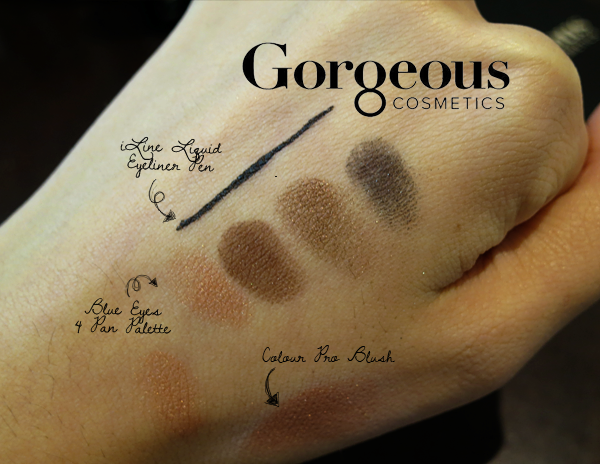 Gorgeous Cosmetics also has a huge selection of Lipstick shades and Zalora offers the more popular ones. 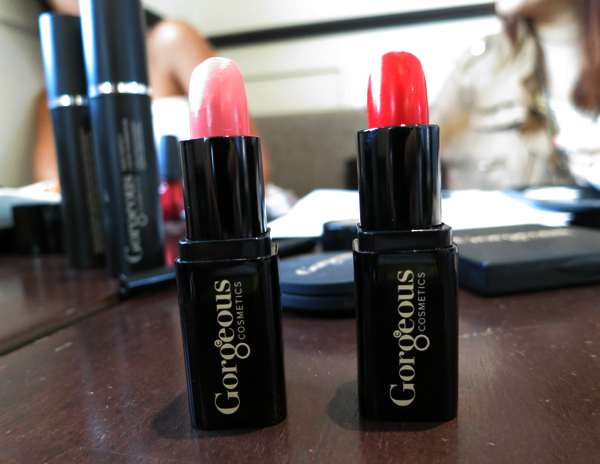 The Lipsticks are 'fine in texture and feel luxuriously soft and light-weight on lips'. 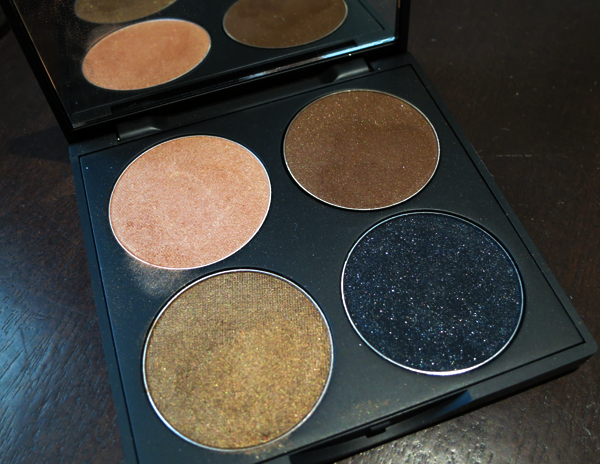 Highly-pigmented and moisturizing (They are enriched with emollients! ), the colours are here to stay! Well, of course, that is until you clean them off! Sophia did a gorgeous look with this palette and you can view it here. Here are the swatches! Also featured above are the iLine Liquid Eyeliner Pen and the Colour Pro Blush. Here are the goodies! To the right, sits The Aromatherapy Co.'s Orange & Jasmine Hand & Nail Cream. This cream is a delicious concoction of organic Orange and Jasmine essential oils, Manuka Honey and Vitamin E. Besides wrapping your hands and nails in a blanket of nourishment, this also helps to improve poor circulation! My 50ml tube has been a very handy dandy 'going out' buddy! Each time my hands feel dry (And they do so pretty often. ), I whip this out and apply a pea-sized amount. This sinks into the skin really easily and smells heavenly! The light citrus-y scent is especially invigorating and brightens my day in an instant! 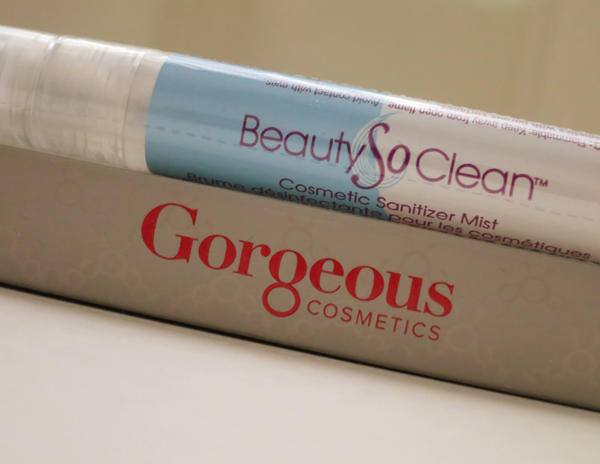 Here, we have Beauty So Clean's Cosmetic Sanitizer Mist and Gorgeous Cosmetics' iLINE Liquid Eyeliner Pen! Beauty So Clean is the world's 1st cosmetic sanitizer. 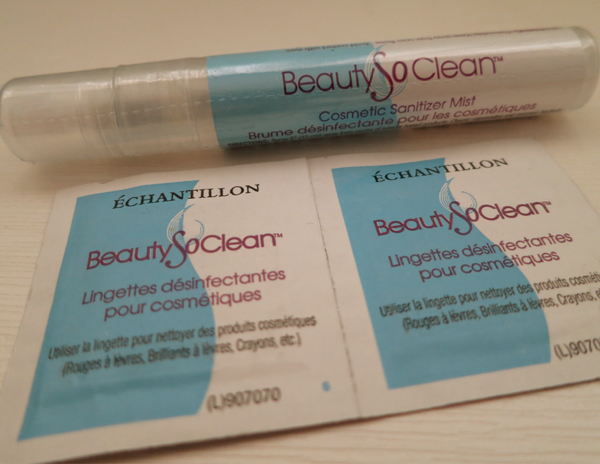 It comprises of 'a 3-piece cleaning system to clean, rejuvenate and remove bacteria from your makeup without altering the colours or drying it out'! Last but not least, Black Chicken Remedies! Haha. A really cute name (Just like Sunbathing Muffins! Heh!) and I do love to black chicken soup (Okay, Char! Stop thinking about food!). Anyway, legend has it that the Black Chicken is an ancient crone, known for her healing powers. And she would only heal those with good hearts. You can read the story here. And it's really cute that there is this disclaimer on Black Chicken Remedies' website: Black Chicken is the stuff of legend, but there's no myth in the remedies afforded by practical and specific application of 100% essential oils. 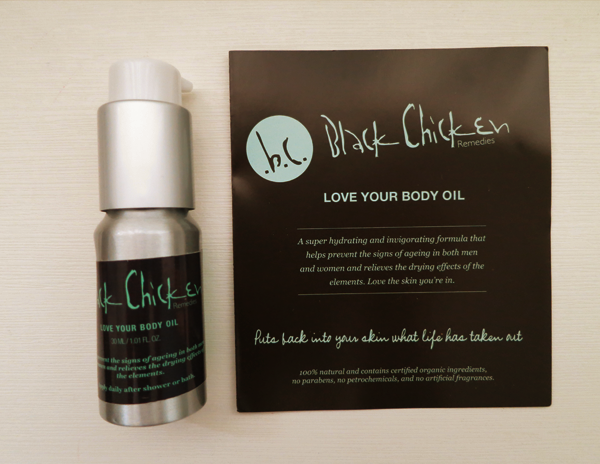 Above is Black Chicken Remedies's Love Your Body Oil. This 'puts back into your skin what life has taken out'! Sounds pretty good and it gets even better for an essential oil lover like me! This body oil is a blend of 12 remedial oils (Avocado oil, Rosehip oil, Hazelnut oil, Coconut oil, Sandalwood essential oil, Geranium Bourbo essential oil, Patchouli essential oil, Lavender essential oil, Carrot essential oil, Ylang Ylang essential oil, Nutmeg essential oil and Vitamin E oil.) to provide deep, lasting hydration and calm the mind. :D 100% natural, this oil also helps to prevent the signs of ageing! 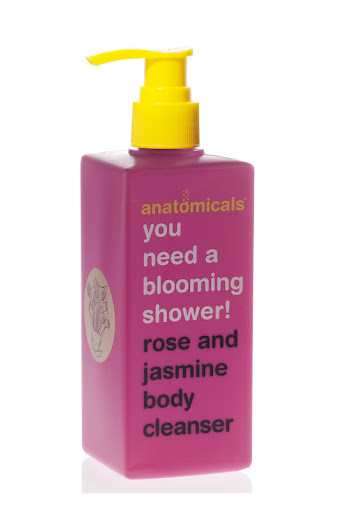 And very recently, British bath and beauty label, Anatomicals, loved by Victoria Beckham and Joss Stone, joined Zalora. Developed by two brothers, Paul and Gary Marshall, this 'edgy line approaches bath and beauty with a very much British sense of humour, giving Anatomicals the clever attitude that promises to jazz up every skincare regimen'. The products have incredibly cute names like 'The Showering Inferno' and 'Sud the Lot of You'. Haha. Head on over here to view the products which Zalora has brought in! REVIEW: Love More's Latest Babies! REVIEW: Lactacyd, what's best for us! RAMBLINGS: A rose at a time.